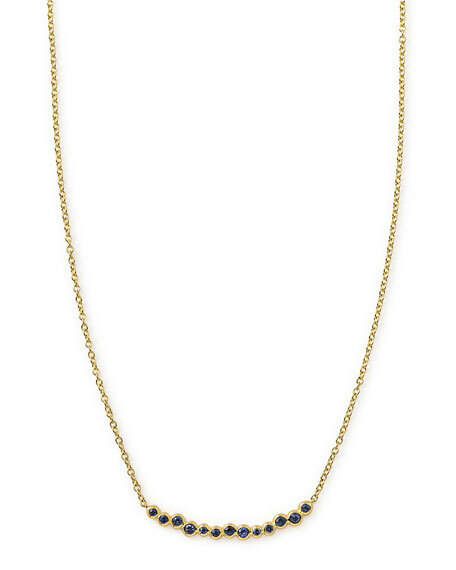 Smile bar pendant with bezel-set blue sapphires. 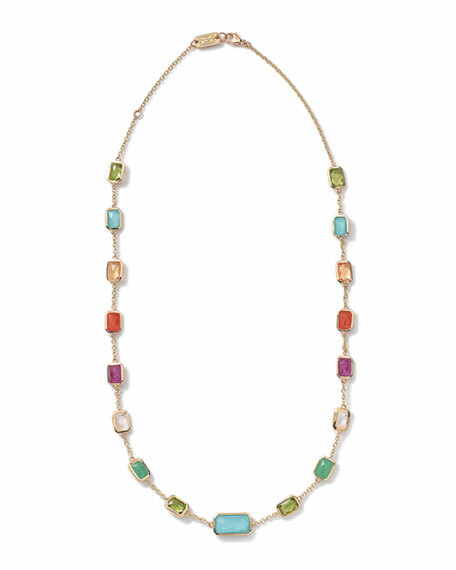 From the Rock Candy Collection. 18-karat yellow gold. 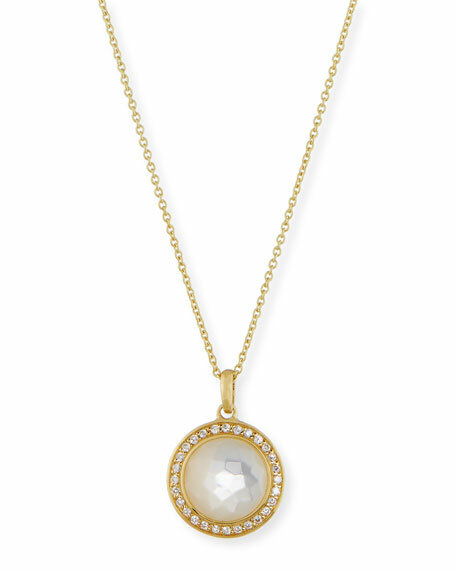 Round clear quartz and mother-of-pearl doublet pendant with pave diamond bezel. 28 H-I/SI diamonds, 0.14 total diamond carat weight. 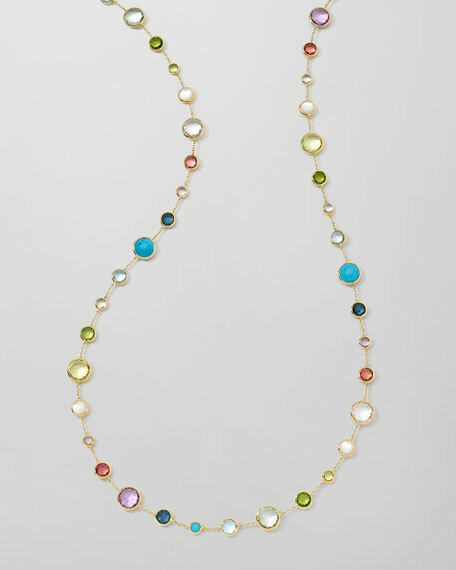 Necklace, 16-18"L. Lobster clasp. Imported. From the Rock Candy Gelato Collection. 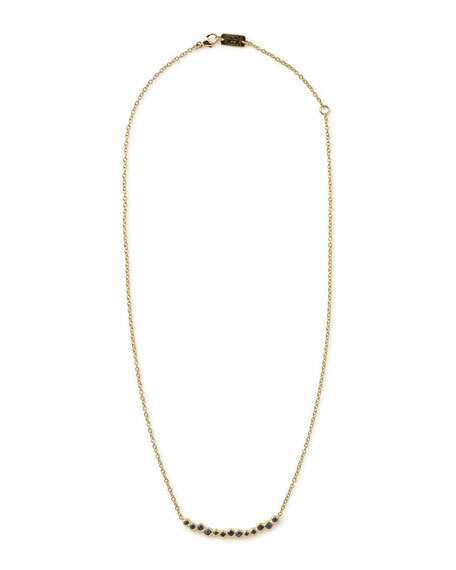 18-karat green gold cable chain necklace. London blue topaz doublet, mother-of-pearl, green amethyst, and peridot stations. 37"L; may be doubled. Lobster clasp.